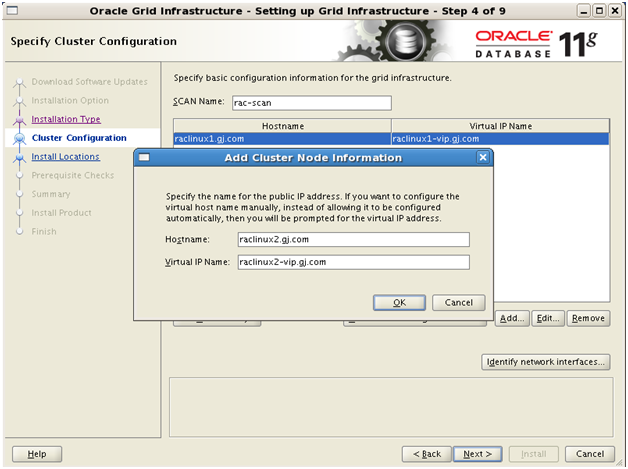 In the article you will have a look at how to use some Oracle VirtualBox features to build two node Oracle 11gR2 (11.2.0.2) RAC system on Oracle Enterprise Linux (OEL 5). 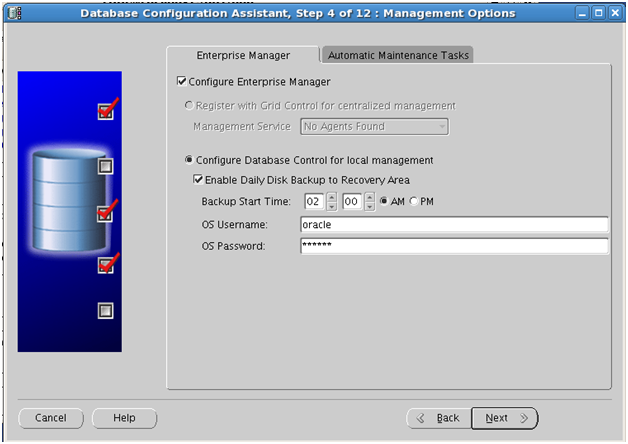 The setup will implement a role separation with different users for Oracle RDBMS and Oracle GI that is, user oracle and grid respectively in order to split the responsibilities between DBAs and storage administrators. 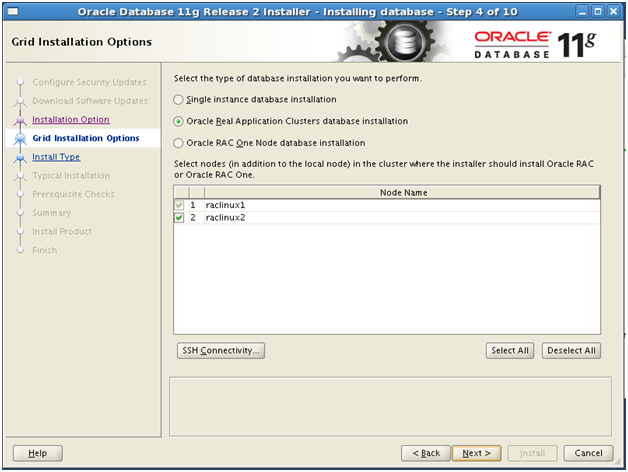 Article will emphasize on the additional CRS reconfiguration necessary for Oracle 10gR2 and 11.2 databases to coexist on the same cluster running GI 11.2.0.2. An overview to Oracle Virtualization solutions can be seen here. 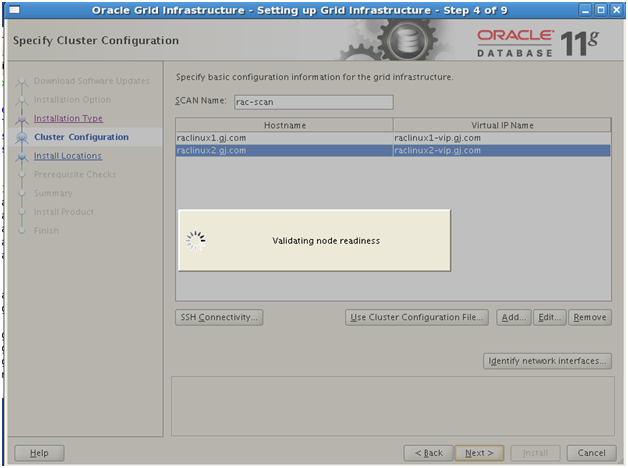 You can see how to use Oracle VM VirtualBox to build a two node Solaris cluster here. You will configure Linux in an Oracle VM VirtualBox Virtual machines, install Oracle GI, Oracle RDBMS and will create a database. 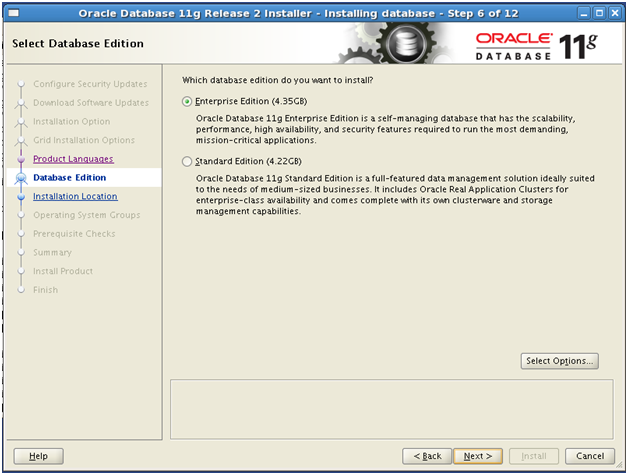 Oracle 11gR2 (11.2.0.2) for Linux (x86-64). Patch 10098816. Download from MOS here. 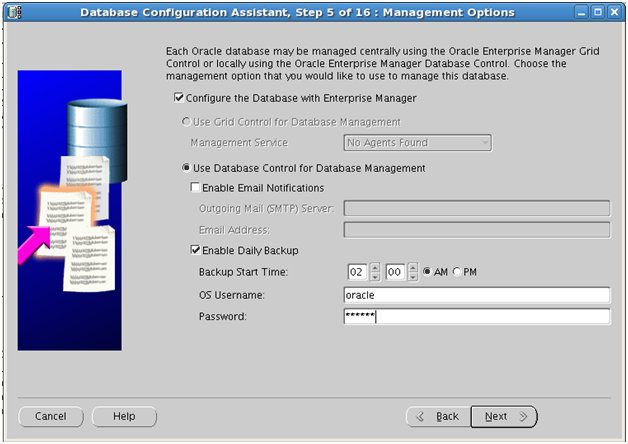 Oracle Enterprise Linux (x86-64). Download from here. 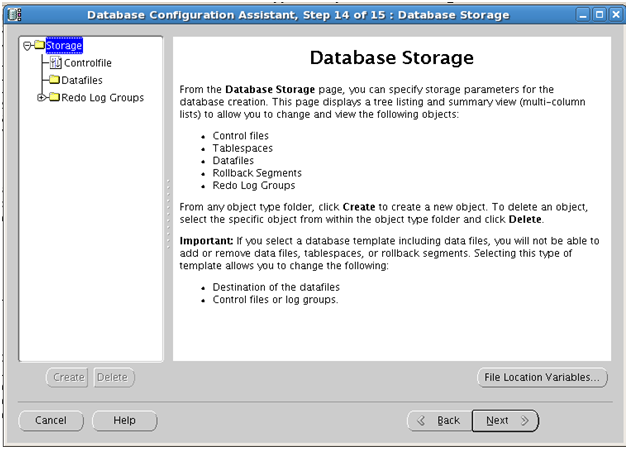 Oracle VM VirtualBox 4.1.0. Download from here. NIC – bridged for public interface in RAC with address 192.168.20.21/22 (first IP 192.168.20.21 on raclinux1 and second IP 192.168.20.22 on node raclinux2). These are public interface in RAC. NIC – bridged for private interface in RAC with address 10.10.20.21/22 (first IP 10.10.20.21 on raclinux1 and second IP 10.10.20.22 on node raclinux2). These are private interface in RAC. NIC – Host Only : for FTP/SSH/telnet/SCP access from the host OS to the guest OS. (first IP 192.168.56.101 on raclinux1 and second IP 192.168.56.102on node raclinux2). The requirements and setup of networking (Internet access from Oracle VM VirtualBox Guest OS and SSH/SCP/FTP/telnet from Host OS to Guest OS) on OEL are described here. For information for setup networking on Solaris look here. 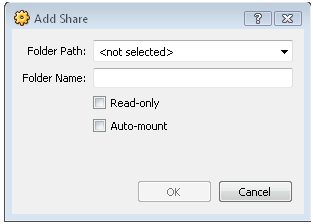 Shared folder configuration in Oracle VM VirtualBox is considerably simpler in version 4.1.0 in that it auto-mount on startup the folder existing on the host OS as a shared folder on the Guest OS. The older manual approach described here also is applicable. 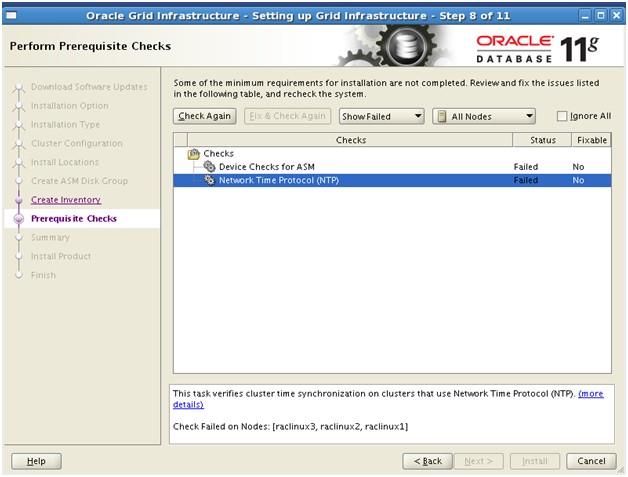 In Oracle VM VirtualBox simply select the folder path and name and select auto-mount check box. 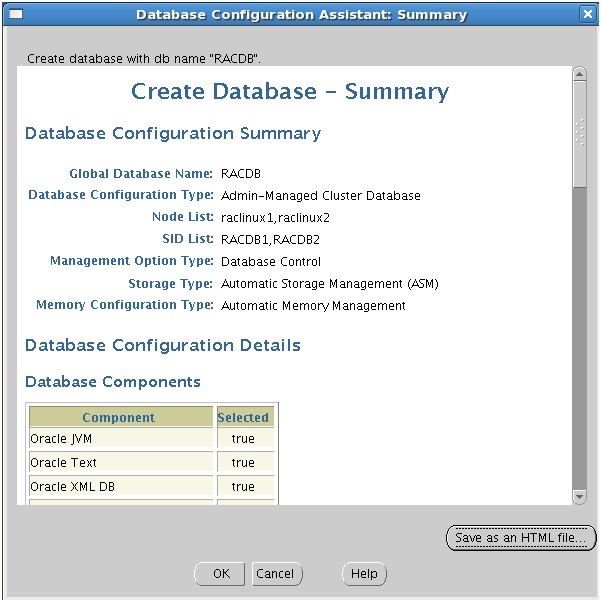 A Virtual Machine RAC1 will be created with OEL 5.4. 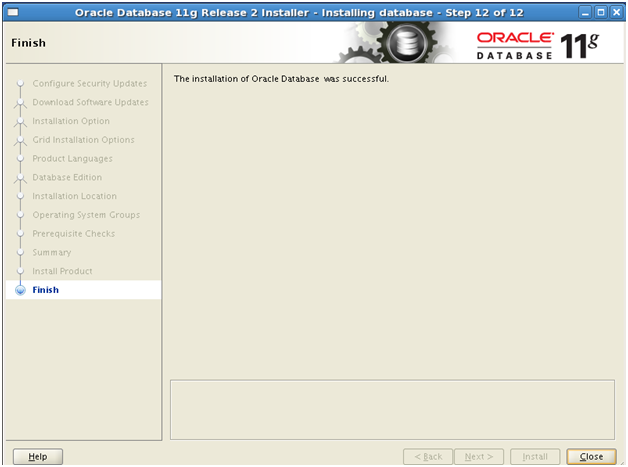 The OEL configurations that are prerequisite for Oracle RAC 11gR2 installation will be performed. Public and private networks will be configured. Shared disks for ASM will be created and attached. 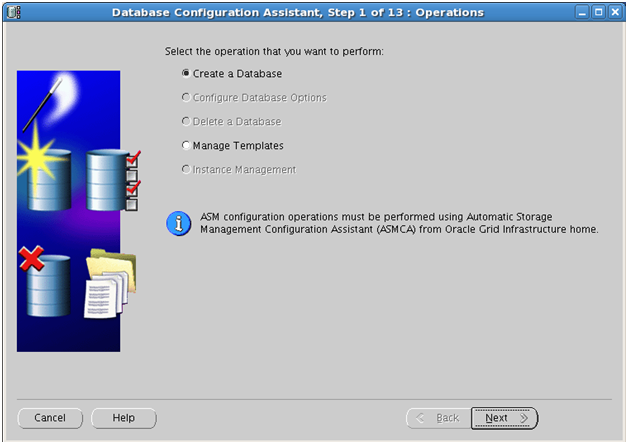 Oracle ASMLib will be configured for ASM interface and the shared Oracle ASM disks will be created and labeled. 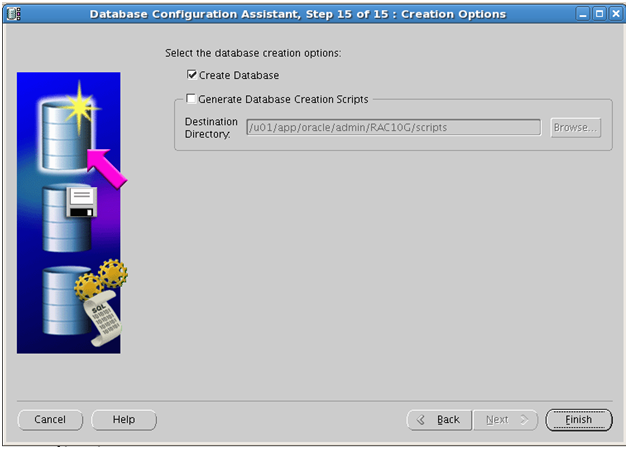 For information related to RAC1 VM creation using Oracle VM virtual box click here and here. 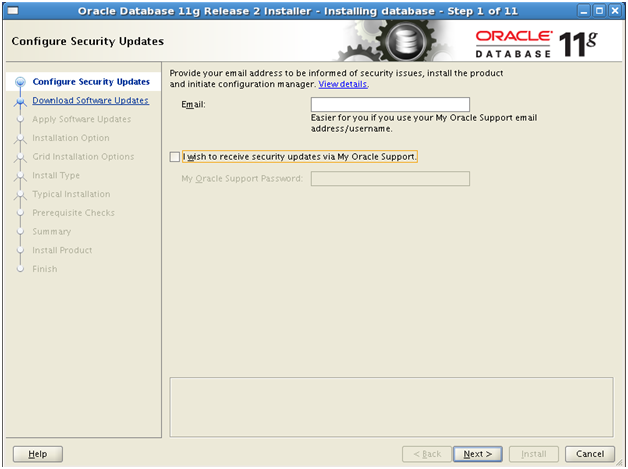 For information related to OEL 5 installation click here. Fully configured RAC1 VM representing the raclinux1 server will be cloned to RAC2 VM representing raclinux2 server. On RAC 2 VM the network will be reconfigured to reflect the raclinux2 IPs, the new hostname and the shared disks will be attached. 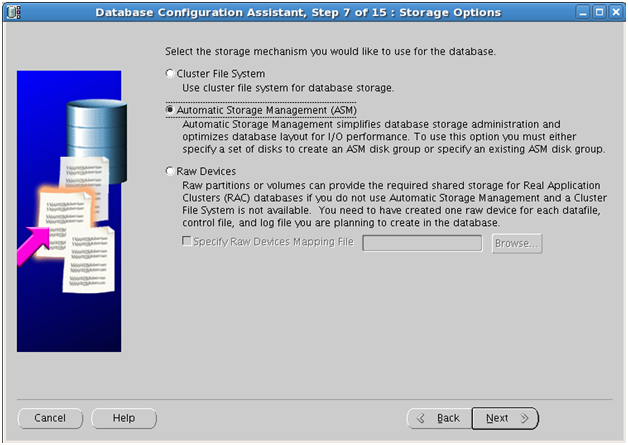 Creating, attaching shared disks using Oracle VM VirtualBox and using ASMLib to prepare the shared disks for ASM installation and configuration. Cloning RAC1 VM and attaching the shared disks and fixing the network interfaces. Add divider=10 in the duplicated title section /etc/grub.conf to speed up the performance of the Guest OEL. Configure Oracle VM VirtualBox Guest Additions by running sh ./VBoxLinuxAdditions.run from the virtual CD drive. Set the interfaces to correspond to the IP addresses in /etc/hosts. For the available interfaces the following assignment will take place. Two ways to change the IPs of the interfaces are. Change the hostname in /etc/sysconfig/network to raclinux1. 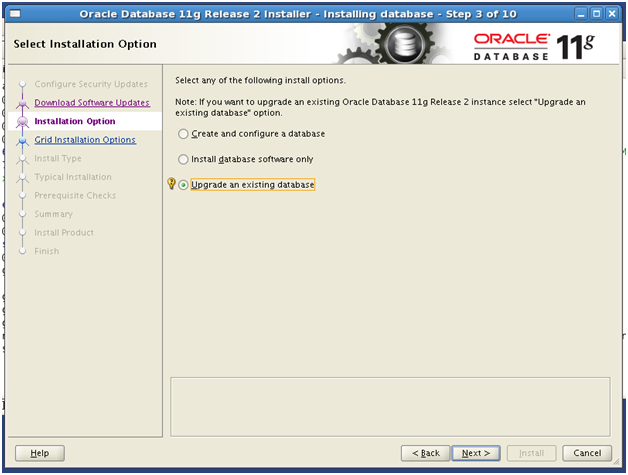 Install all packages required for Oracle 11.2 GI and RDBMS, if not using Oracle validated rpm from the distribution media. Make it permanent to persist reboot. 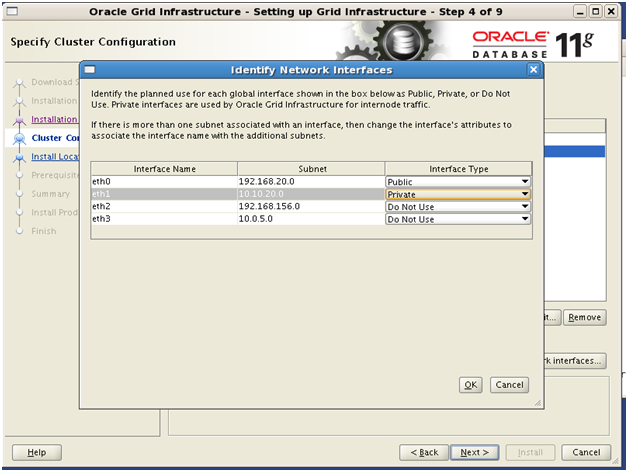 Set the user limits for oracle and grid in /etc/security/limits.conf to restrict the maximum number of processes for the oracle users to 16384 and maximum number of open files to 65536. Add in /etc/pam.d/login, as per MOS Note 567524.1, the line below in order for the login program to load the pam_limits.so so that the /etc/security/limits.conf is read and limits activated and enforced. For the cluster to operate it requires time synchronization, for more information click here. In a nut shell, either NTP can be disabled and CTSS is in active mode or NTP can be enabled and CTSS can be in an observer mode. For enabling the NTP make sure that /etc/sysconfig/ntpd has the line modified to include –x. For disabling the NTP make sure that the NTP service is stopped and disabled for auto-start and there is not configuration file. In the article NTP is enabled. Add users and groups. 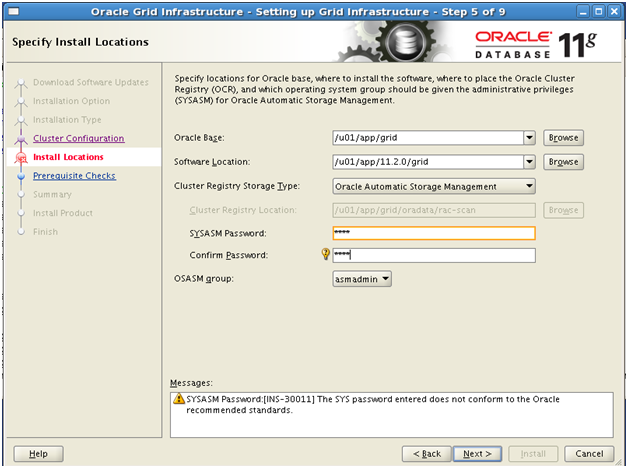 Oracle validated package adds only oracle user as of OEL 5. 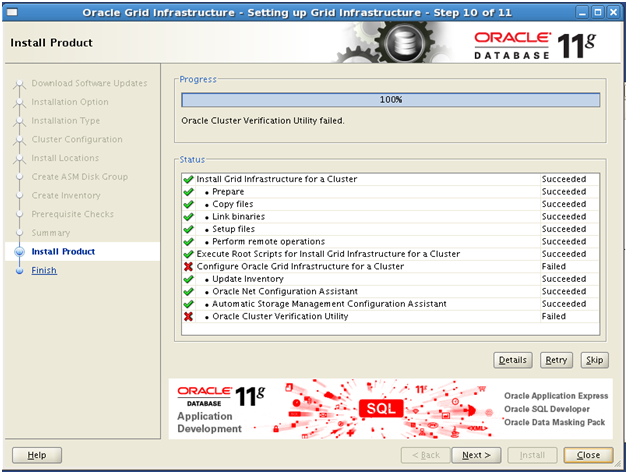 OEL 6 adds for oracle and grid users. The latter is valid as of the time of the writing. 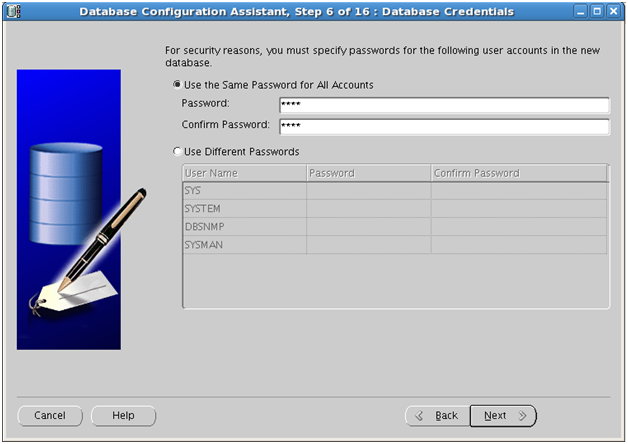 Set the permissions and directories. 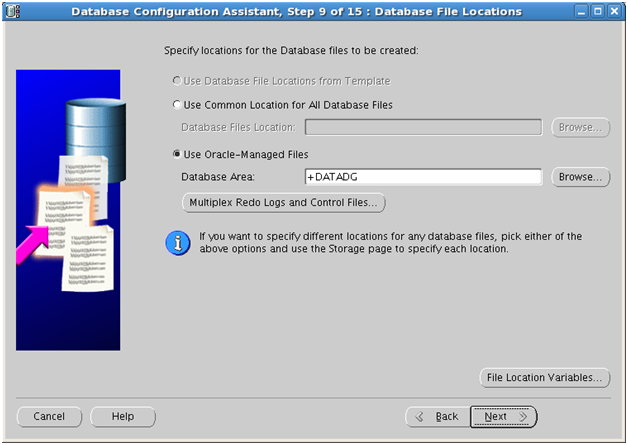 Note that Oracle RDBMS directory will be created by OUI in the location specified in the profile. 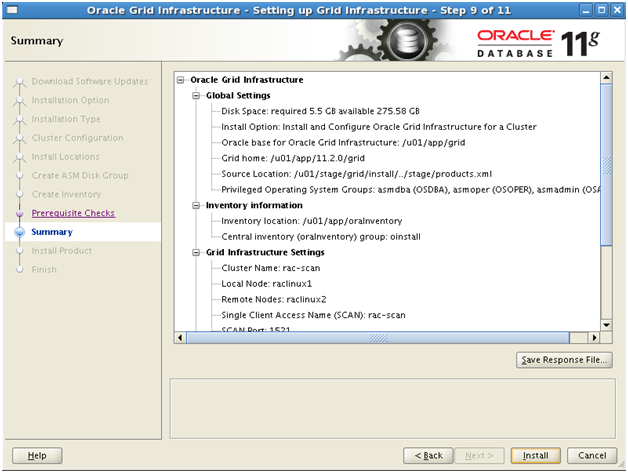 Create the profiles for the grid and oracle users. Note that per MOS Note 1277018.1 if installing 11.2.0.2 SELINUX need not be considered. Prior to 11.2.0.1 SELINUX had to be set to disabled. Starting with 11.2.0.1 a setting SELINUX=”permissive” is supported. 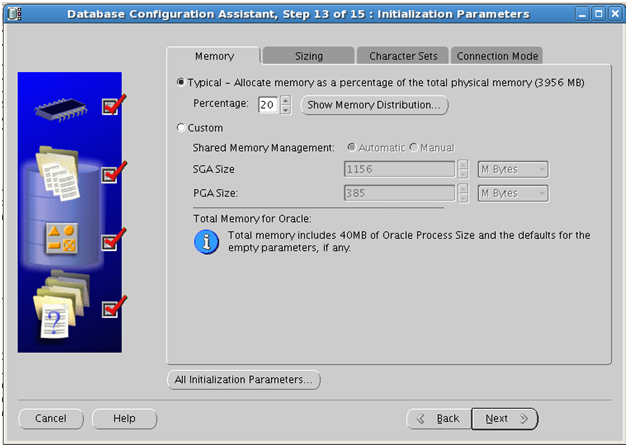 In this section you will look at how to create and attach the shared disks from Oracle VM VirtualBox perspective. Once exposed in OEL, those disks will be formatted. 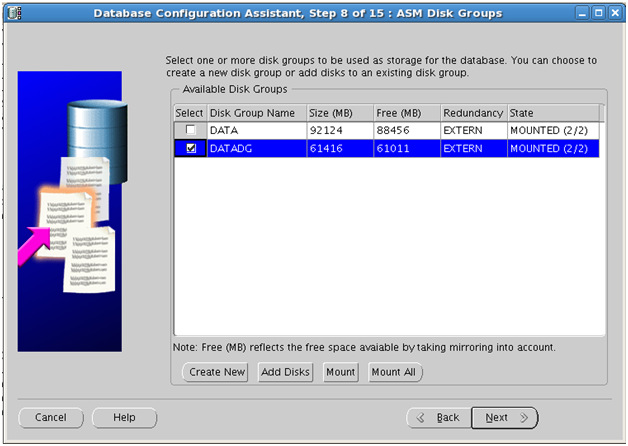 Last but not least ASMlib will be configured and those disks labeled. 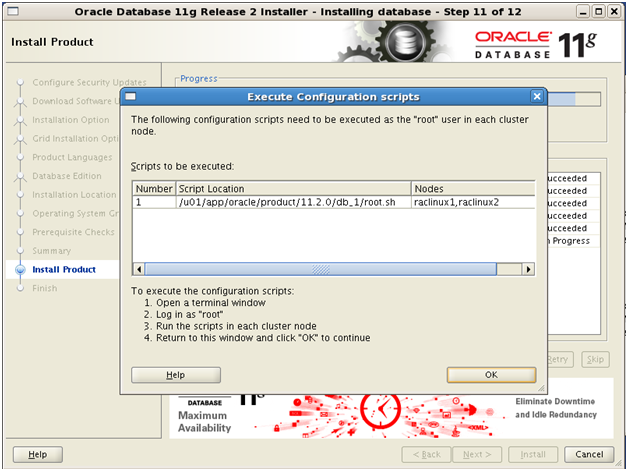 Execute the script below to create the Oracle VM VirtualBox disks. Format each of the shared disks using fdisk. Repeat the steps listed below for each disk from /dev/sdb to /dev/sdp. Make sure you set proper permissions for the devices. 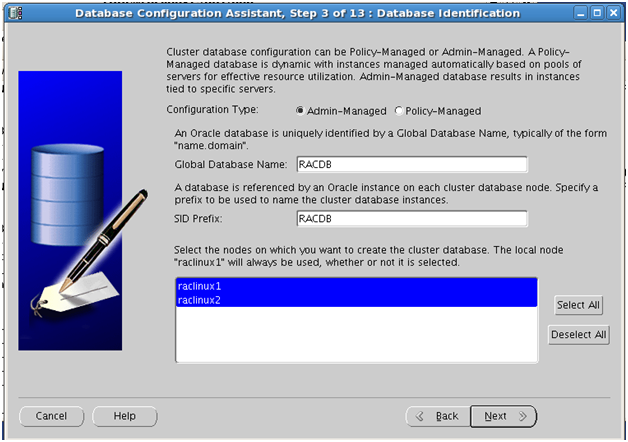 Starting with Oracle VM VirtualBox 4.1.0 there are few ways to clone a VM. 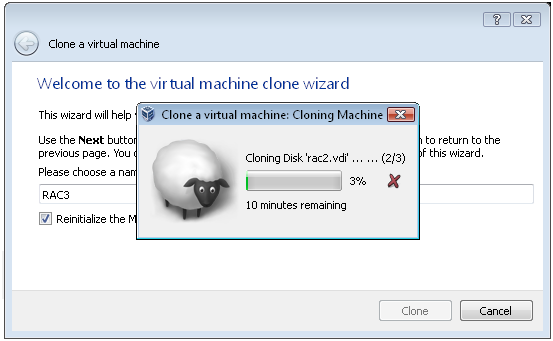 Clone the disk and create a new VM using the cloned disk. 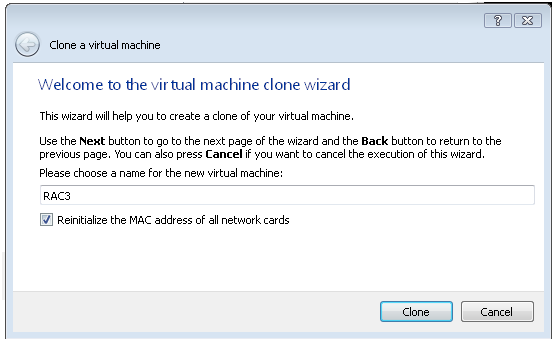 Right click the VM and select Clone or press CTRL+O. Enter the new name, mark the check box and press Clone. 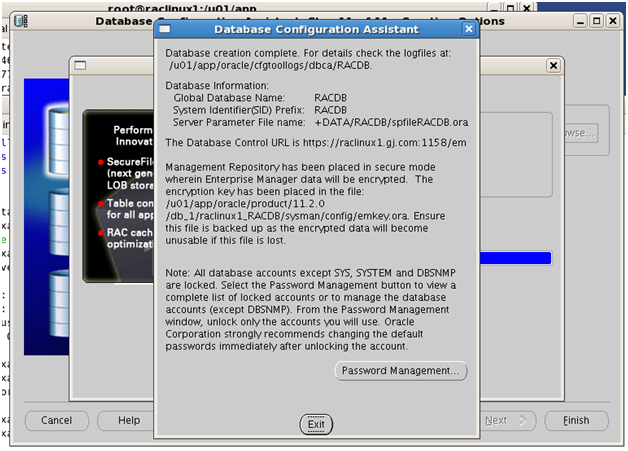 Here a new RAC3 VM is created from RAC2. Wait for the clone to complete. Issue VBoxManager clonevm RAC1 –-name RAC2 where RAC1 is the name of the VM that you want cloned and -–name to specify the name of the clone, RAC2 in the case. Clone the boot disk of the RAC1. Create a RAC2 VM using the cloned disk. Delete the interfaces with an extension .bak and configure the IPs as per the /etc/hosts on RAC2 to reflect the settings for raclinux2. Set the hostname to raclinux2. Set the interfaces to correspond to the IP addresses in the /etc/hosts. For the available interfaces the following assignment will take place. Issue the following command to verify the prerequisites for GI installation. The output is on Annex 1. Ignore the messages for subnet 10.0.5 as they are due to dhcp IP assignment. Ignore the messages for NTP as irrelevant for a VirtualBox setup. There are three ways to setup user equivalence. PING raclinux1.gj.com (192.168.20.21) 56(84) bytes of data. PING raclinux2.gj.com (192.168.20.22) 56(84) bytes of data. The following hosts are reachable: raclinux1 raclinux2. Please specify if you want to specify a passphrase for the private key this script will create for the local host. Passphrase is used to encrypt the private key and makes SSH much more secure. Type ‘yes’ or ‘no’ and then press enter. In case you press ‘yes’, you would need to enter the passphrase whenever the script executes ssh or scp. The estimated number of times the user would be prompted for a passphrase is 4. In addition, if the private-public files are also newly created, the user would have to specify the passphrase on one additional occasion. The files containing the client public and private keys already exist on the local host. The current private key may or may not have a passphrase associated with it. In case you remember the passphrase and do not want to re-run ssh-keygen, press ‘no’ and enter. If you press ‘no’, the script will not attempt to create any new public/private key pairs. If you press ‘yes’, the script will remove the old private/public key files existing and create new ones prompting the user to enter the passphrase. If you enter ‘yes’, any previous SSH user setups would be reset. If you press ‘change’, the script will associate a new passphrase with the old keys. The script would create ~oracle/.ssh/config file on remote host raclinux1. If a config file exists already at ~oracle/.ssh/config, it would be backed up to ~oracle/.ssh/config.backup. The user may be prompted for a password here since the script would be running SSH on host raclinux1. Warning: Permanently added ‘raclinux1,192.168.20.21’ (RSA) to the list of known hosts. Done with creating .ssh directory and setting permissions on remote host raclinux1. The script would create ~oracle/.ssh/config file on remote host raclinux2. If a config file exists already at ~oracle/.ssh/config, it would be backed up to ~oracle/.ssh/config.backup. The user may be prompted for a password here since the script would be running SSH on host raclinux2. Warning: Permanently added ‘raclinux2,192.168.20.22’ (RSA) to the list of known hosts. Done with creating .ssh directory and setting permissions on remote host raclinux2. The user may be prompted for a password or passphrase here since the script would be using SCP for host raclinux1. The user may be prompted for a password or passphrase here since the script would be using SCP for host raclinux2. Creating keys on remote host raclinux1 if they do not exist already. This is required to setup SSH on host raclinux1. Creating keys on remote host raclinux2 if they do not exist already. This is required to setup SSH on host raclinux2. The script will run SSH on the remote machine raclinux1. The user may be prompted for a passphrase here in case the private key has been encrypted with a passphrase. The script will run SSH on the remote machine raclinux2. The user may be prompted for a passphrase here in case the private key has been encrypted with a passphrase. Running /usr/bin/ssh -x -l oracle raclinux1 date to verify SSH connectivity has been setup from local host to raclinux1. Running /usr/bin/ssh -x -l oracle raclinux2 date to verify SSH connectivity has been setup from local host to raclinux2. IF YOU SEE ANY OTHER OUTPUT BESIDES THE OUTPUT OF THE DATE COMMAND OR IF YOU ARE PROMPTED FOR A PASSWORD HERE, IT MEANS SSH SETUP HAS NOT BEEN SUCCESSFUL. Since user has specified -verify option, SSH setup would not be done. Only, existing SSH setup would be verified. Log in as the “oracle” user on raclinux1, generate an “authorized_keys” file on raclinux1 and copy it to raclinux2 using the following commands. 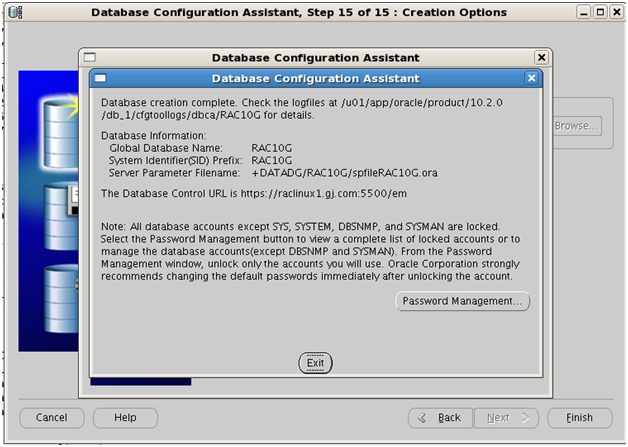 Next, log in as the “oracle” user on raclinux2 and perform the following commands. The “authorized_keys” file on both servers now contains the public keys generated on all RAC nodes. You should now be able to SSH and SCP between servers without entering passwords. Repeat the same procedure for grid user. Start OUI for GI installation. Log in as grid user and launch the OUI. Click Next. Select Install and Configure Oracle Grid Infrastructure and click Next. Select Typical Installation and press Next. Enter SCAN name. Press Add.. to add a hostname and VIP name. Press Identify Network Interconnects. Assign eth0 as public and eth1 as private interconnects. 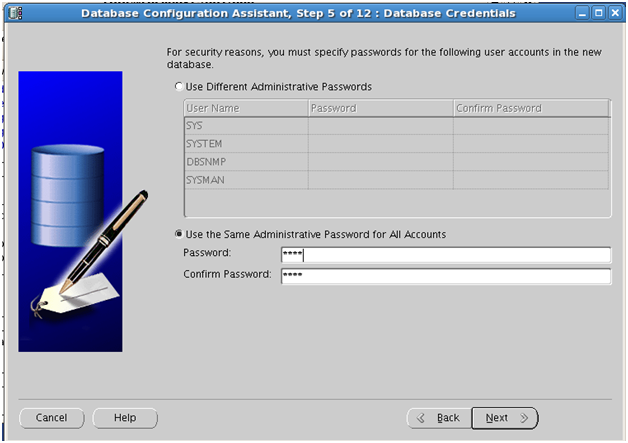 Specify CRS storage type and enter the SYSASM credentials. 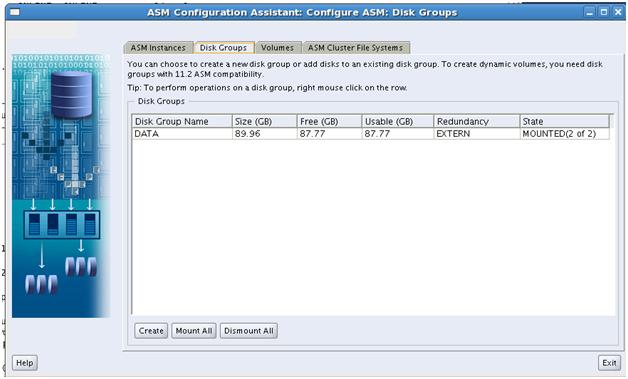 Specify a disk group name, redundancy and disk members. Press Next. The idea was of a high redundancy. So here you can choose. 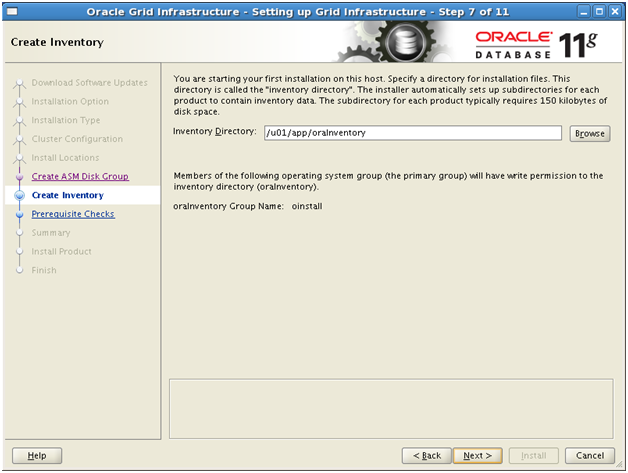 Specify Oracle Inventory location. Press Next to continue. Review and press Next to continue. Wait until prompted to execute the scripts as root. The output of the scripts is shown bellow. Successful addition of voting disk 9855d5f82b484f42bf07ffcb6c75f1c0. ASMCA by default crates a diskgroup with compatible.asm set to 11.2 so as a result the diskgroup can be used for a vote disk and OCR storage. If you use another way to create a disk group make sure that you set compatible.asm attribute to at least 11.2. Let’s create a datadg disk group with high redundancy for OCR and vote disk. Press Create. Enter disk group name. 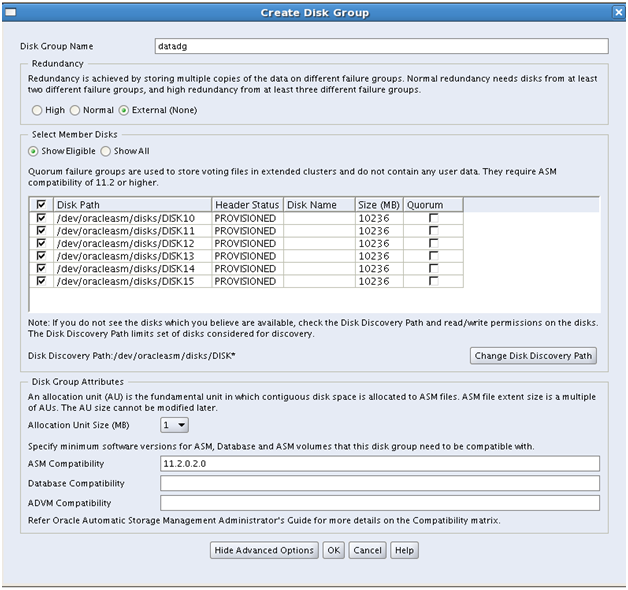 Enter disk group disks, redundancy and compatibility attributes. Press OK. Here you can select a high redundancy as was the idea. 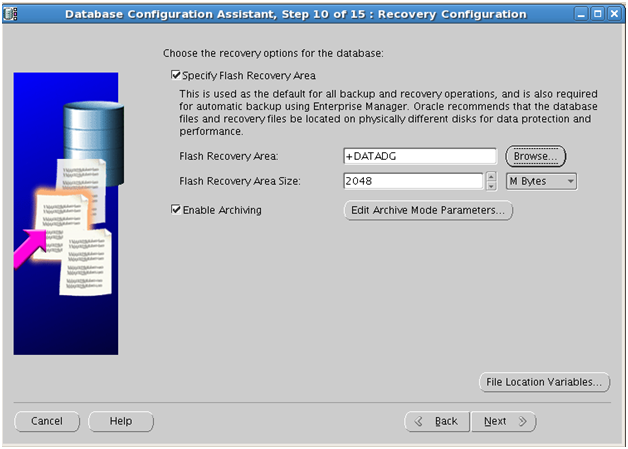 Identify the vote disk and relocate it to the +datadg disk group. Successful addition of voting disk 00bdc433ad1d4fbebf7b02f77e66acf3. Successful deletion of voting disk 9855d5f82b484f42bf07ffcb6c75f1c0. Successfully replaced voting disk group with +datadg. In order to create a 10g database the servers in the cluster need to be pinned. 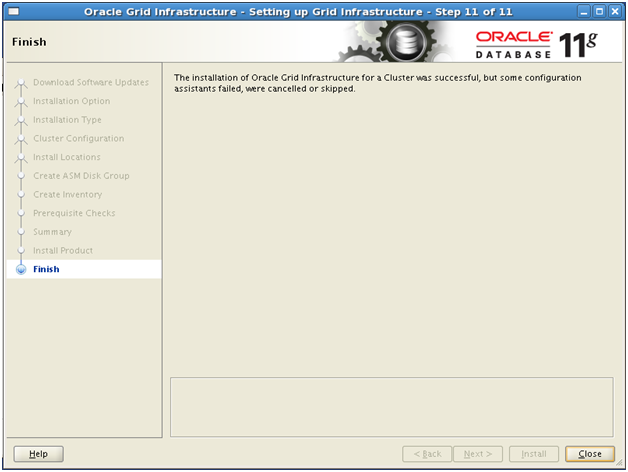 After a fresh Oracle GI 11.2 installation all servers are unpinned. After an upgrade to 11.2 all servers are pinned. Pinning a node means that the association of a node name with a node number is fixed. If a node is not pinned, its node number may change if the lease expires while it is down. The lease of a pinned node never expires. CRS-4664: Node raclinux1 successfully pinned. CRS-4664: Node raclinux2 successfully pinned. 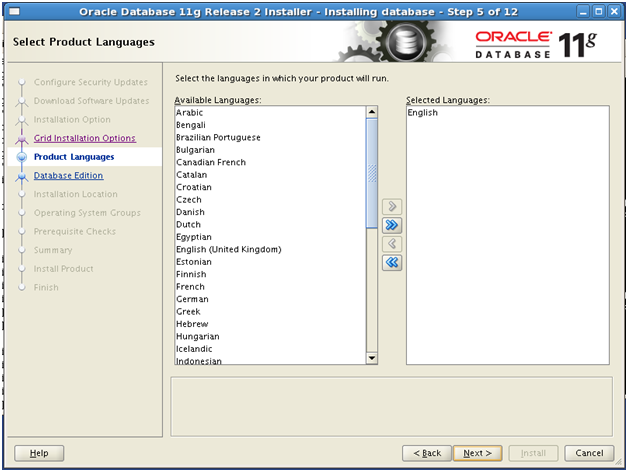 Login as oracle user and launch the OUI. Select to Skip the Updates and press Next. 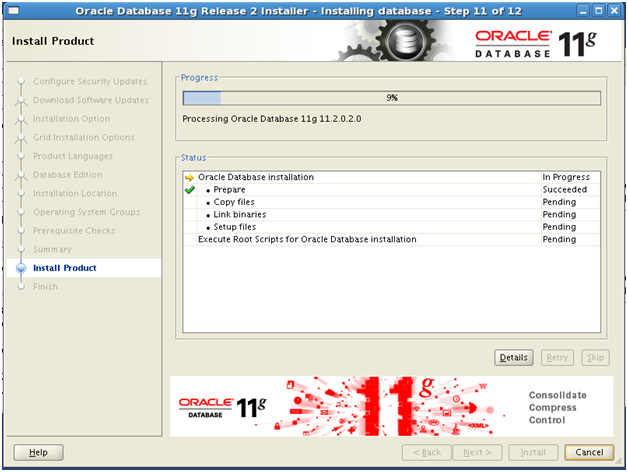 Select Install database software only and press Next. 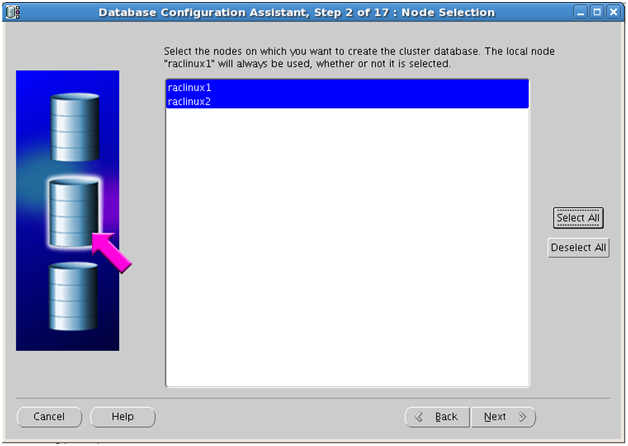 Select all nodes and select Oracle RAC Database installation. Select Enterprise edition and press Next. 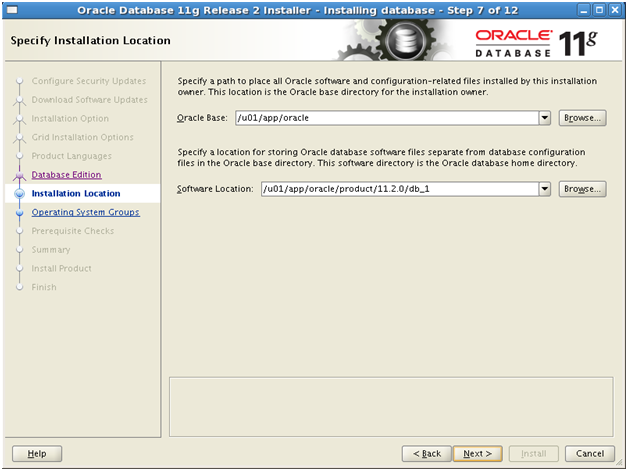 Enter the software and ORACLE_BASE locations and press Next. Select the groups and press Next. Wait for the prompt to run scripts as root. 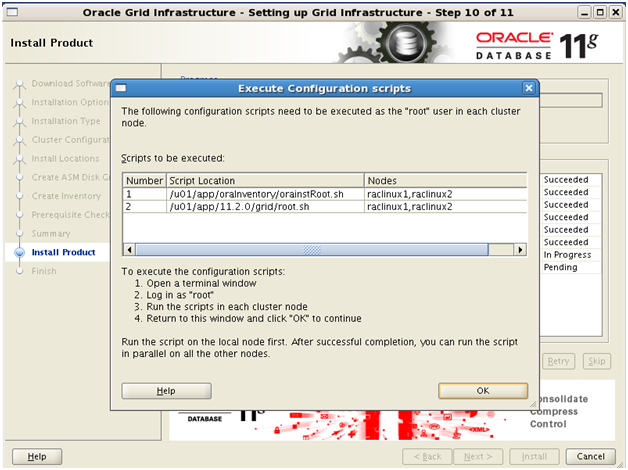 Run the scripts and press OK.
Log on as oracle user. Start the dbca. 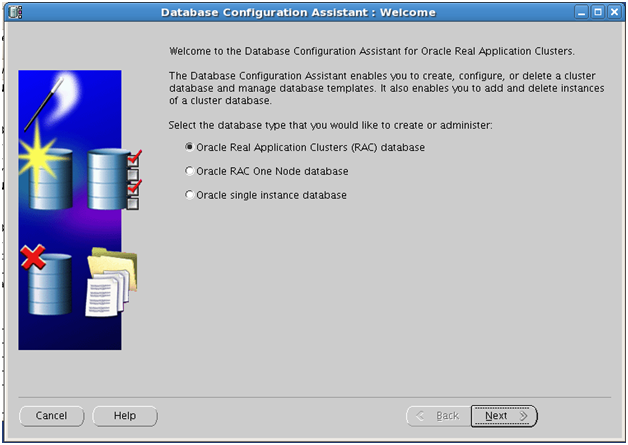 Select Oracle RAC and press Next. Select Create a database and press Next. Select General Purpose and press Next. Enter the requested information as show below. Press Next. Select the configuration show below and press Next. Specify the passwords. Press Next to continue. Specify memory setting and press Next. Specify Create Database and press Finish. At the end press Exit. 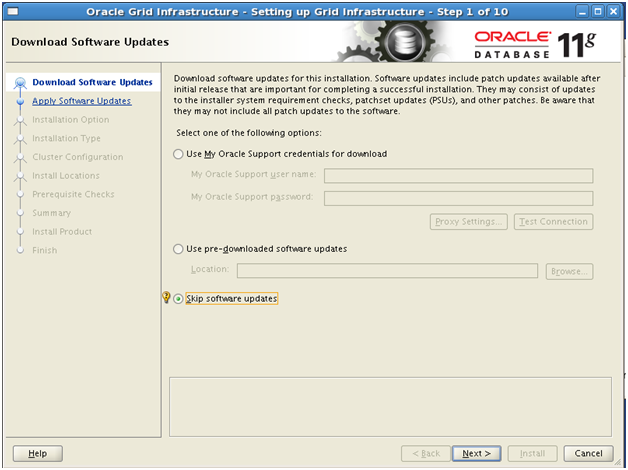 Here I will briefly summarize the steps to install Oracle 10.2 binaries and patch to 10.2.0.5. A solution for Bug 8288940, when DBCA fails to create a database if ASM is used, is in patch 8288940 included with 10.2.0.5 (MOS Note 948456.1). 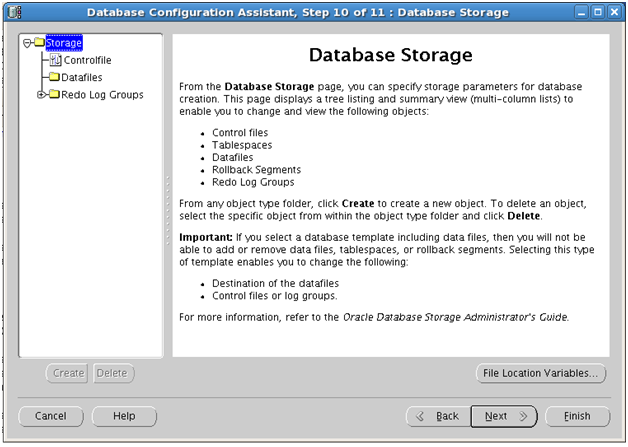 Download Oracle database 10.2 from here. Download patch 8202632 from MOS. Download patch 12419392 from MOS. Download patch 6880880 from MOS. Install patch 8202632 from Disk1 directory. 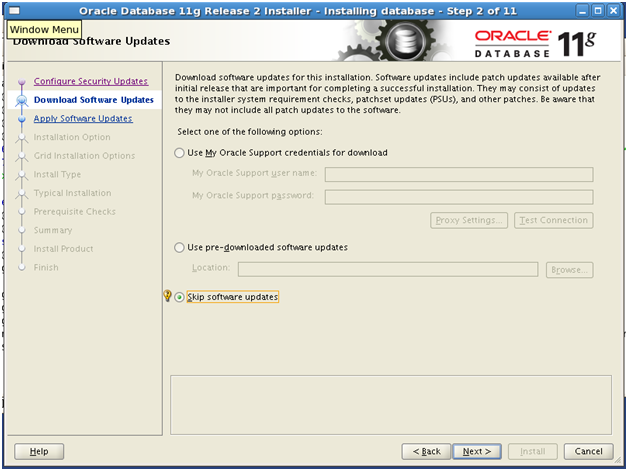 Install patch 12419392 using the downloaded OPatch. 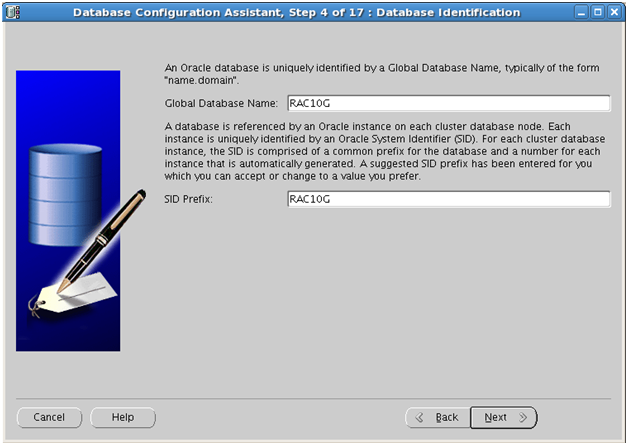 Log on as oracle user. 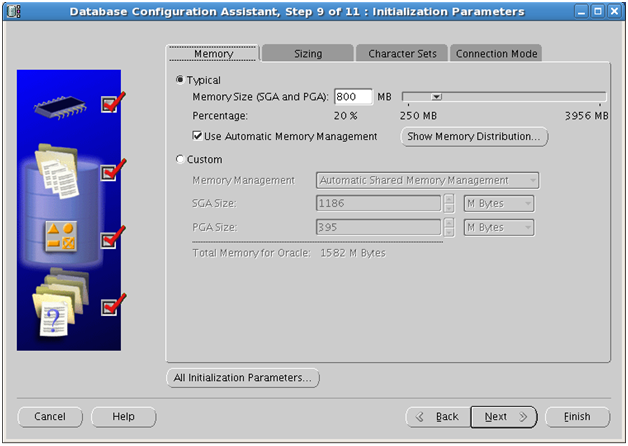 Source the 10g profile and launch the dbca. 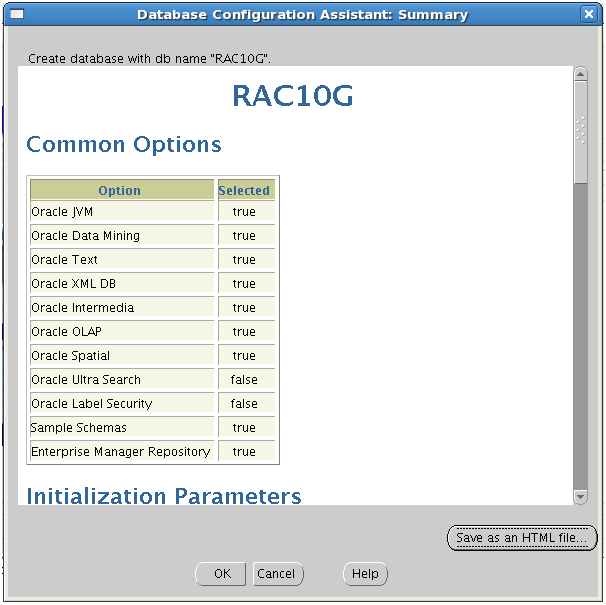 Select RAC database. Press Next. 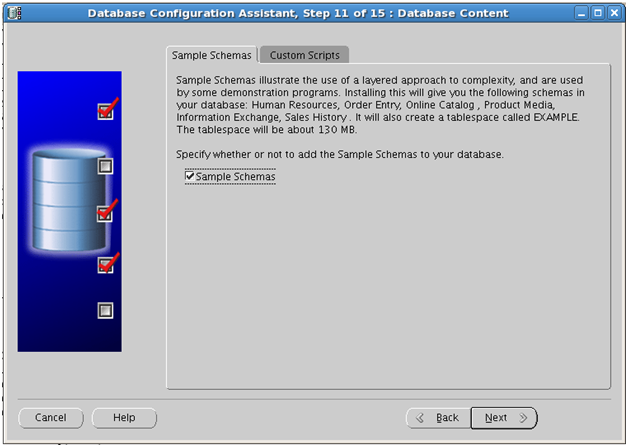 Select Create database press Next. Select all nodes and press Next. Specify RAC10G and press Next. 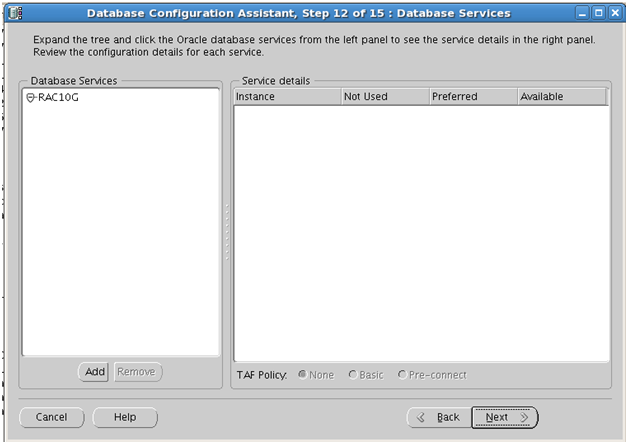 Specify a configuration and press Next. Specify password and press Next. Specify ASM and press Next. 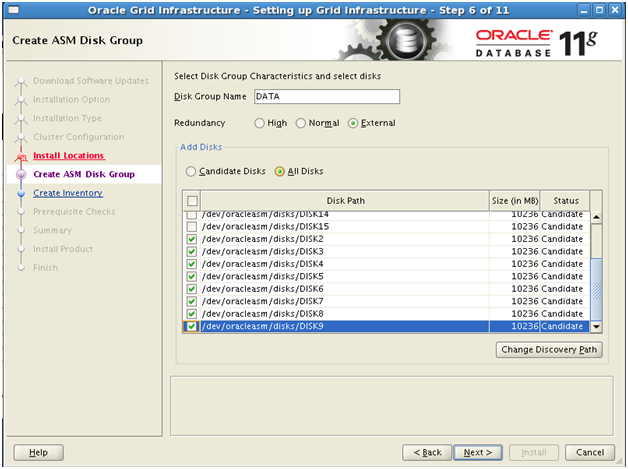 Select a disk group and press Next. Select OMF and press Next. Specify FRA and archive mode and press Next. Specify Memory settings and press Next to continue. I’m trying to determine if it’s possible to install version 11gR2 on an already existing 10gR2 RAC. Do you think it is? You cannot have 10gR2 clusterware and 11.2 GI at the same time on the same cluster. For RAC you will need to upgrade from 10gR2 to 11gR2. 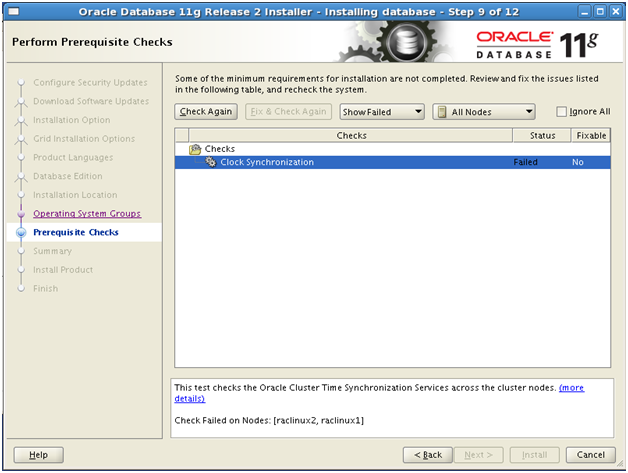 If you meet the prerequisite you can get 11gR2 RDBMS a non cluster $OH installed. OK. Do you know if I can have 11gR2 RDBMS using 10gR2 clusterware? Oracle is downward conpetible. That is 11gR2 is competible with 11gR1, 10gR2. I would suggest to upgrade 10gR2 clusterware to 11gR2 GI and have both 10gR2 and 11gR2 RAC. There are too many new features and architectural differences between 10gR2 clusterware and 11gR2 GI that I doubt if you can use 11gR2 RAC and even stand alone with 10gR2 clusterware. I have not tested it but I will be really surprised if it works. I do not expect it to work. So in a nutshell upgrade to 11gR2 GI and use both 10gR2 and 11gR2. I do consider all the ideas you have offered in your post. They’re really convincing and will certainly work. Still, the posts are very quick for beginners. May you please extend them a little from next time? Thank you for the post. I had RACing EBS in virtualbox. In multinode It will take more space. I’m impressed! Extremely helpful information specially the closing phase 🙂 I care for such information a lot. I was seeking this particular information for a long time. Thanks and good luck. say regarding this article, in my view its actually remarkable in support of me.